We all know about that, Roku was one of the best streaming devices to watch movies and TV shows, and to cast video and music content and much more. But it also provides services beyond streaming. It may not be the Latest Playstation console, but it has some reasonably amusing and engaging games and it offers more fun on the big TV screen with excellent and free games. It has fun games with solo and team play capability, which will be quite entertaining while you spend time with your family or friends. In this article, we will tell you about the fascinating and best Roku games that you will love to play. Most of the games found in the Roku device are built on an 8-bit architecture. This might not challenge the graphics, but they do offer some entertainment. Some might tickle that nostalgia part of our memories, and some are great fun. 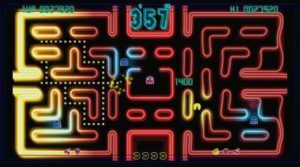 Some of the games you found in this device are remade classics, while some are a variation on a theme. But one thing is sure, that these games are worthy of your time. This is a challenging story and gameplay, with lots of competitive levels. It is a solo game and you are going to pretend as a space hero. The interesting fact about this game is you will not be provides with any ammo. An action game as a Space hero without ammo??? 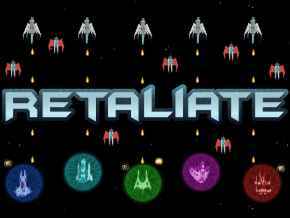 seeing this itself creates an incite to play this game right… In this game you will play as a space hero who has to avoid all the attacks of his enemies from the beginning and steal your enemy’s ammo to kill them. Initially you will be provided with any other weapon and using that you have to protect yourself and attack your enemy for ammo. The game inherits the excellent scrolling and shooting graphics which will quite unique. This game standout among other free Roku games due to its difficulty and diverse gameplay. Snake, a very familiar game for all. This is one of the Classic and highly addictive gameplay ever. It is not just a game, and everybody know how good is this fame and due to this fact, it has a huge fan following. This will be a lot more similar to the one that we used to play in feature phones. We can say it like this, through Roku the Snake has made its way to the Big screen. The goal of this free game is simple that, one has to prevent the collision with oneself. The game gets difficult when the size of the snake increases with eating the items present. You might have heard about this game. This is one of the best of favorite game for 90’s kids. Roku kept the originality of this game intact and it will create the same feel as it did years ago. Since the Streaming device hardware is designed solely for streaming purposes, it can’t support high graphics games. It will support only the game that are specially designed for Roku stick compatibility. The games which we have mentioned are the best Roku games ever and are working till now. 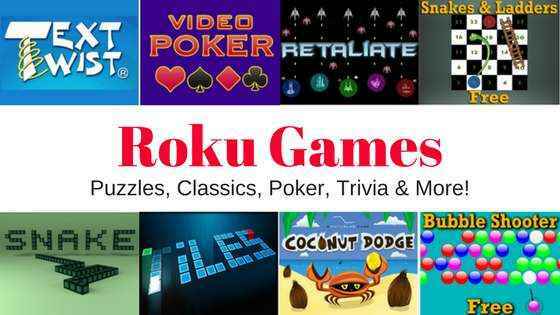 There is a huge list of best Roku games, but we have mentioned the popular, classic and fun games, You can also use Bluetooth joystick to play these games. If you have any queries, kindly comment below.